The Rohingyas, a Muslim minority group living in the Rakhine State in western Myanmar (Burma) have been denied citizenship, which has made them insecure in their homelands. Many have fled persecution and limitations on basic rights, their plight being highlighted in international media. This book presents new information about the nexus between citizenship and insecurity, and concludes that full citizenship would accord with the UN and other international conventions. Granting of citizenship rights as prescribed by the 2008 Union of Myanmar Constitution is seen as essential to the alleviation of insecurity and suffering of the Rohingyas. As elsewhere, the benefits of citizenship come the obligations to abide by the law of the land. This book is therefore a contribution to Myanmar's modernization program of integrating all of its peoples. Understanding Southeast Asia - Syncretism in Commonalities (2015) By IID Director Professor Lindsay Falvey. Understanding Southeast Asia points to the wisdom of seeking common factors that unite worldviews. Differences, the focus of Western empirical thought and one of its defining traits, similarly inform's and have been the basis of most scholarly writing about Southeast Asia. This book redresses some of that imbalance. In doing so it also balances nation-building stories that again seek to emphasize differences, particular from neighbouring nations and cultures. Beginning with the common origins of Southeast Asia's peoples and languages, their common heritage is emphasized through agricultural, archeological, cultural, geographical, historical, linguistic, religious and technological histories. Perennially defined by rice, stability and trade, Southeast Asia has evolved a common trading ethic and morality influenced by China and India long before the short European colonial interlude. Historically known as a Golden Land, the region exudes a resilience founded in traditions and beliefs from millennia-long legacies, expressed today through adopted and adapted world religions. The book's discussion of the integrated worldviews and tolerance of opposing views is a stark contrast to today's journalistic critiques. By eliciting commonalities, the work will be of great assistance to a new generation of Western understanding of Southeast Asian politics, decision-making, active inaction and ASEAN. It will also help the young educated elite of the region to see themselves in a new and proud light. Disasters are commonly considered to be sudden events, as with modern communications it is possible for billions of people to experience almost simultaneous sympathy and desire to help. This suddenness facilitates collective action, at least while the collective emotion persists, but may mask other more important impacts on the lives of all concerned. This highly relevant book discusses work undertaken to determine means of reducing the impact of disasters. It uses the Tropical Cyclone Nargis that ravaged coastal Myanmar in 2008 as a case study. It takes a broad view of the precursors of disasters as well as their effects and the effectiveness of responses by government, aid agencies and others – and especially the affected communities themselves. By examining these factors it, arrives at conclusions that can potentially reduce the impact of natural disasters. The publication can be downloaded here. This biography chronicles the life of the remarkable Australian agricultural scientist Derek Tribe, who as a young academic migrated from England to assume the mantle of Sir Samuel Wadham at the University of Melbourne in the 1950s. It covers his involvement in the creation of the International Livestock Research Institute in Africa- one of the 15 green revolution centres that support third world research. The biography further looks into how Tribe influenced hundreds of young agricultural scientists at the helm of the Faculty of Agriculture in Melbourne, eventually moving on to become the first Executive Director of the International Development Program of Australian Universities and Colleges- IDP. It moves on to explore his role in establishing the Crawford Fund, which was aimed at raising awareness and support for the critical role of agricultural research in the third world. Finally, it looks at the legacy Tribe left behind as one of the country's preeminent agricultural scientists. The publication can be downloaded here. Professor Lindsay Falvey FTSE writes on spiritual and agricultural themes. He is an international agriculturist, has variously been; Dean and Chair of Agriculture at the University of Melbourne, adviser to all major agricultural development agencies and several governments, and CEO of international consulting companies. He is a Fellow of the Academy of Technological Sciences & Engineering, a Life Member & Fellow of Clare Hall at the University of Cambridge, and a recipient of the Centenary Medal of Australia, among other honours. His Ph.D., as well as his higher and honorary doctorates all relate to international agriculture. 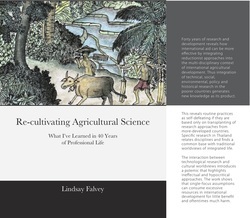 This, Prof. Falvey’s 11th book on an agricultural theme, summarizes his 40 years’ work. An overview of the book is provided in this document, and a copy of the book can be downloaded here. · It presents for the first time in English a digest of a plethora of previously inaccessible Russian reports and scientific literature that will be invaluable for development agencies, including UN, World Bank, Asian Development Bank, Islamic Bank as well as to students of this vast and fascinating region who seek up to date and authoritative information. Published by: Thaksin University Press in association with the Institute for International Development Click here to download the publication. Religion is a powerful expression of culture that is most obviously expressed in our relationships with nature. As our major meeting point with nature is food, this provides a fertile field for cultivating the wisdom that Professor Falvey concludes is the essence of all sustainability. By bringing sustainability, agriculture, global issues, Buddhism, Christianity and a host of other factors into play, we see that our motivations belie our rhetoric - in environmental actions through to trade and aid. This open-spirited book contains a wealth of analysis and alternative logics that make it essential to serious readers about nature, the environment, spirituality and religion, Asia and ourselves. Beginning with science and spirituality, the discussion moves from immortality to theology to literal misinterpretations and unifies these themes around unacknowledged Western core values. Shifting to philosophy, ethics, and rights, an ecological argument about our selective 'liberation' of nature is proffered as an introduction to global issues, including traditional values of poor countries and lost traditions in the West. An engrossing hybrid Oriental-Western dialectic allows chapters to be read alone or as part of an accumulating thesis. Thus Buddhist and Christian teachings are applied to agriculture and sustainability - and they are found to be at one with each other. Whether it is biblical metaphor, karmic logic or enlightened self-interest, the continuous thread of a strong suture stitches a complex set of subjects into a coherent sutra that will vivify the current moribund dialogue between agriculture, science and religion. Click here to download the book (1MB). Sustainability of the environment contains both wishful thinking and ignorance - ignorance of the reality that natural systems are complex and unfathomable by scientists, and that repetition of their outputs depend on repetition of initial and all subsequent conditions. Scientific insights provide knowledge, but it is partial in most cases, and when applied is often subject to conflicting objectives, which in turn produce conditions that affect outcomes thus our best efforts to predict natural outcomes are usually flawed. We further display our ignorance in seeking social sustainability while we behave inequitably towards groups other than 'us' and invoke spurious reasoning to justify further research. The effect of ignorant self-interest is played out daily in our largest intervention in the natural environment - agriculture, which is why agriculture provides perhaps the best model for consideration of the ideal of sustainability. The publication can be downloaded here. This talk, although delivered some 10 years ago, remains relevant; the current “issue” is human induced climate change rather than salinity. In the case of climate change the issue is caused by the additional energy forced into the weather system due to the ‘greenhouse’ effect and increased emissions of green house gases provided by our industrial growth, mostly since about 1870. We don’t know precisely how this will play out but it is IID’s view that humans have the capacity to react the damage they have caused and that it is in through Rural Development and education that this can be achieved, as discussed below for salt and water. The speech can be downloaded here. IID member Mr Daniel Miller, in collaboration with ICIMOD (International Centre for Integrated Mountain Development) has published his third book, entitled Fields of Grass - Portraits of the Pastoral Landscape and Nomads of the Tibetan Plateau and Himalayas. The text and hundreds of his photographs explore the landscape, grazing lands, wild herds, nomadic society and changes to traditional pastoral life. Preservation of ecological functionality of these high Himalayan grasslands is a matter of international importance as they constitute the headwaters of about half the world's great rivers. Copies can be obtained from ICIMOD at PO Box 3226 Kathmandu, Nepal. Portraits of the Pastoral Landscape and Nomads of the Tibetan Plateau and Himalayas. A Lecture by Buddhadasa Bhikkhu to Agricultural Teachers and Officials on 25 March 1991 at Suan Mokkhapharam, Chaiya, Surat Thani Province, Thailand. This publication is available in both Thai and English. The Thai version can be downloaded here. The Thai translation was made possible by a generous donation - please see the acknowledgements section. Thai agriculture is traced through prehistory, agro-cities, and religious empires with immigrant Tai, to a sustainable wet glutinous rice culture which shaped institutions for an exporting society. Agriculture's provision of security and wealth increased with population and Chinese and European agribusiness, until accessible land was expended. Employment, crisis resilience, self-sufficiency, rural social support, and culture were maintained through agriculture, although hampered by institutional orientations to taxation more than research and education. By the 1960s, agribusiness contrasted with small-holders. Thailand is one of the world's few major agricultural exporters, leading in rice, rubber, canned pineapple, black tiger prawn, and regional chicken meat production and export, and feeding four times its population from less intensive agriculture than its neighbours. Issues remain in poverty, education, research, governance, national debt, and sensitive alternatives for small-holders. 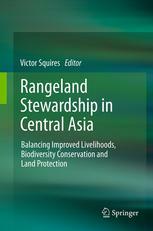 Past specialties in irrigation, administration, export, multinational agribusiness, negotiation, retained potential, and acceptance of new ideas, suggest that Thailand should remain a major agricultural country as environmental and religious concerns contribute to its unique agriculture. The Publication can be downloaded here. To purchase this book from Amazon, please click here. and at www.amazon.com in print version and for Kindle. Nicholas Hughes grew up on a sheep farm in Australia and was educated in a Christian college in Australia. He married an Indonesian of Arab decent in 1976 and became a Muslim with the name Ikhlas, meaning ‘sincere.’ Nicholas worked with the Food and Agricultural Organization of the United Nations in South and South-East Asia and has visited many Arab countries with his wife. They, together with their daughter, Nesya, then 12 years old, performed the Haj in 1992. Nicholas finalised his Account of the Hajj some two decades later, in retirement in Indonesia, as part of his lifelong spiritual journey. They now live on a farm in the foothills of the mountains outside Jakarta where he grows rice, tropical fruits and goats. He is currently researching the origins of Arabs in Indonesia, between his travels climbing mountains and studying the ecology of this amazingly diverse country. Nicholas has done a great service to those interested in religions and spirituality in his descriptions of the rites of the Hajj and explanations of their origins and meaning. The Hajj is both a voyage to Mecca as well as a re-commitment to a lifelong spiritual journey. He writes, ‘If My Account of the Hajj can contribute to inter-cultural and religious understanding, I am happy to have shared it with others’. More information on the book can be found here. This is the story of Lazuli, an average man with ordinary problems which, in his case, were enough to open his mind to something wonderful. Something that was already right in front of this nose - a mountain in the middle of his city that was virtually ignored. Improbable? Possibly, but then the events that follow somehow seem as natural and important as anything could be. And the story is simple, based on climbing a mountain and coming down again. But while access to the mountain is easy, it seems very few are interested in it. Lazuli and his colleagues resolve to explore the forgotten mount, their paths reflecting their individual characters, and the most common outcome is boredom leading them to return to the more interesting diversions of everyday life. But for Lazuli and his friend, and a few others they meet on the way, a new discovery awakens in them and they are never the same again - they are content. A short and positive tale, a parable. The book can be downloaded here. Described as 'unique and a great service to understanding', this book is intended for three groups; Western Buddhists, that bulk of the West that have no religious affiliation yet know there is something more to life, and Buddhists in Asia who follow the encounter of the dharma with the West. It highlights the pervasive similarities in the teachings of Jesus and the Buddha as they were probably originally presented. In its six chapters and appendix, it compares the two great teachers, the Buddha and Jesus, briefly charts the process by which experts have produced words readily attributed to Jesus and presents a Buddhist 'imitation' of these words based on the hypothetical 'Sayings of Jesus'. It then considers congruence between the Buddha's and Jesus' teachings before offering both Buddhist and Christian interpretations. An appendix re-presents the Buddhist imitation of Jesus' words as a continuous text. Dr. Falvey introduces his work ... 'Jesus speaking the Buddha's words' exudes audacity and ignorance, yet this work essentially wrote itself as a product of my socialization, a modicum of Christian theological study and its explication through three decades of casual association with Thai Buddhism. Differences between the two traditions - such as Christianity relying on a God while Buddhism denies the existence of a God proved themselves facile upon consideration of the metaphorical intent of teachings of both traditions. The publication can be downloaded here.